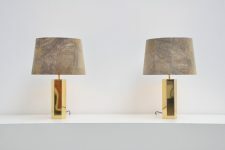 2 Very nice and rare table lamps designed by Ingo Maurer for Maurer, Germany 1962. 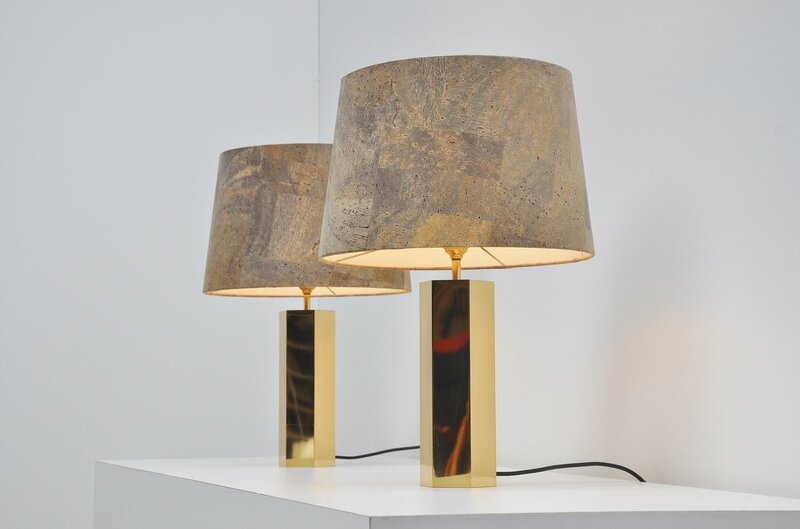 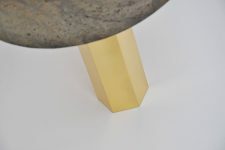 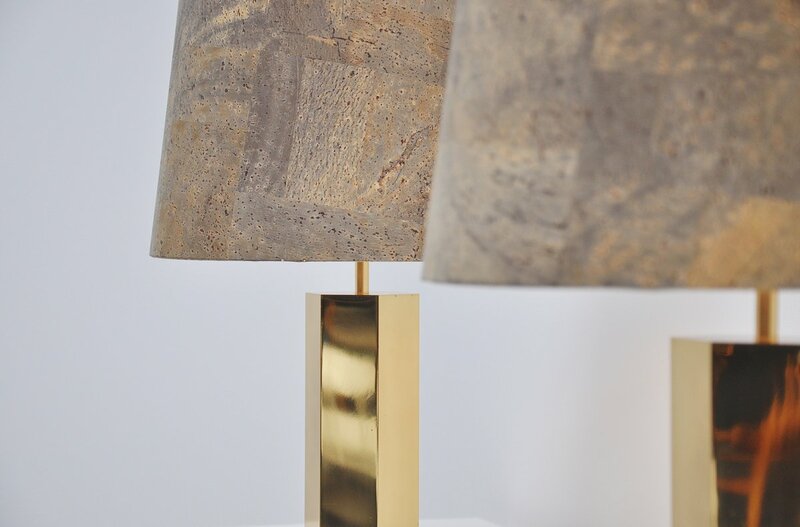 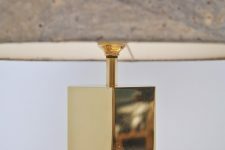 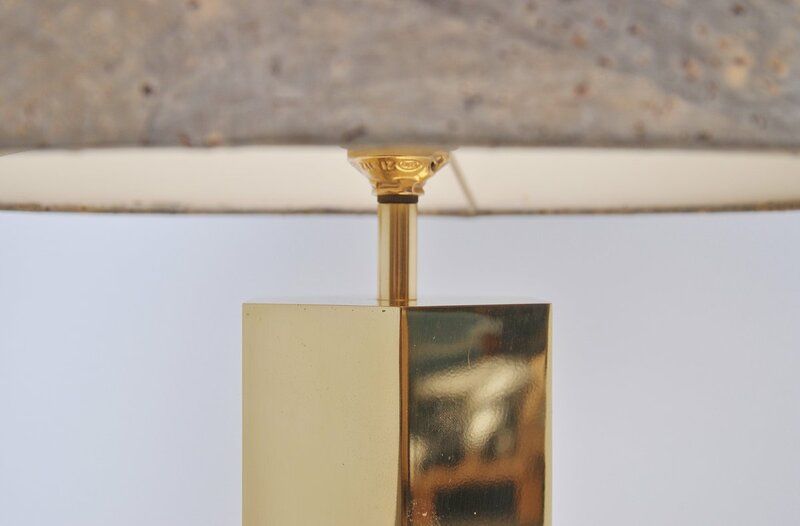 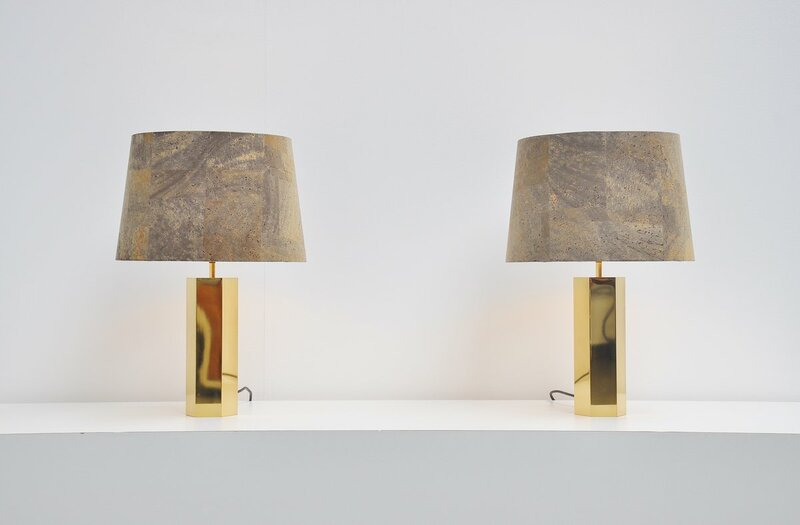 These lamps have a hexagonal base in brass and a very nice original Maurer cork shade which is often broken or damaged. These lamps are in an amazing condition and give very nice warm light when lit. 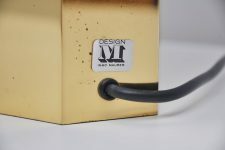 The lamps are clean and marked with sticker accordingly.